Is a 100 word statement to your credit reports for an unresolved dispute useful? Credit bureaus are only required to contain a statement in your file if you are disputing the fullness or truthfulness of a particular item. The agency does not have to include a statement if you are only explaining circumstances or other reasons why you haven’t been able to pay your debts. If the credit bureaus agree to you to add a statement, they can charge you a fee for doing so. 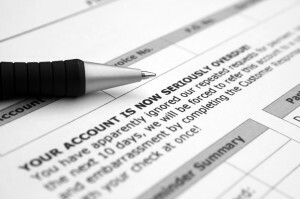 The credit bureaus must include your statement, or a summary of it, in any report that includes the disputed information. If the credit bureau assists you in writing the explanation, it may limit your statement to 100 words. Otherwise, there is no specific word limit, but it is a good idea to keep the statement brief. The credit bureaus are required to provide only a summary of your statement (not your actual statement) to anyone who requests your file. If your statement is short, the credit bureaus are likely to bypass your statement unedited. If your statement is extensive, the credit bureaus may abbreviate your explanation to just a few sentences or codes. To avoid this problem, keep your statement brief and precise. If you request it, the credit reporting agency must also give the statement or summary to anyone you identify who received a copy of your file within the past six months—or two years if your file was given out for employment purposes. This service is free if you request it within 30 days after the bureau gave you notice of the results of the investigation. Otherwise, you will have to pay the same amount as the agency would normally charge for a credit report. Don’t assume that adding a brief statement is the best way to deal with credit issues. In fact, few creditors who receive credit files read these statements, and credit scoring models mostly ignore them. As an alternative, it’s a good idea to clarify the derogatory comments to the creditors honestly. Although even then, remember that in any consumer vs. credit bureau dispute, creditors have a tendency to believe the bureaus. However, if you have supporting records for your disagreement, which might help the creditor, believe your dispute. For example, if you did not pay a bill because of the business’ improper conduct and can provide evidence that other consumers had similar problems with the same business (such as press reports that a government agency is investigating the business), the prospective creditor is more likely to believe your story. One final note make sure you’ve exhausted your other options for getting the negative information off your credit reports. To find out what else you can do, call InCreditable Advisors at 317.202.1297 for a Credit Review with one of our friendly professional credit advisers.